NEW CANAAN — Jeff Holland spent his nights building the structures for New Canaan’s annual Pop-Up Park. Lisette Caldero served as a mentor to a girl who’d lost both her parents. Dale Carbonier drove over 100 miles every day to visit his stepson when he was in the intensive care unit. These stories of triumphant, yet everyday acts of giving are often overlooked or forgotten. 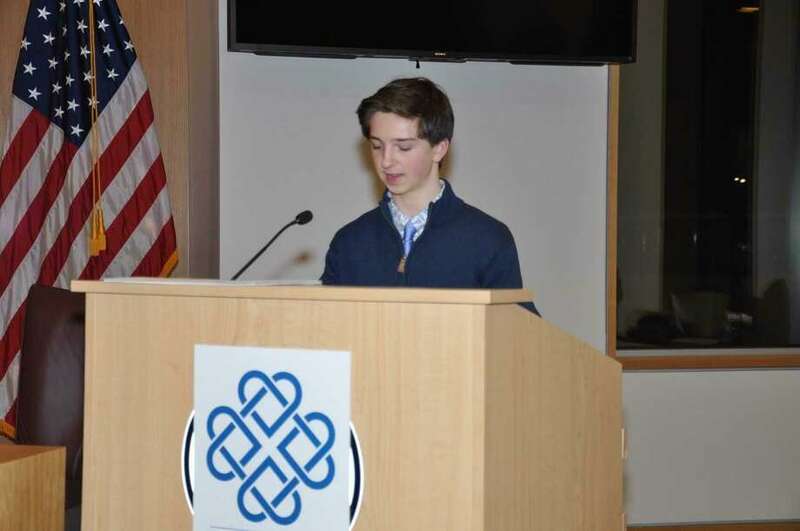 However, Holland, Caldero and Carbonier, along with 12 other New Canaan residents and groups, were recognized for their volunteer service at the second annual 2017 Volunteer Recognition Awards held by the New Canaan Community Foundation. The 15 honorees were chosen by a committee who presented the awards throughout the night. Each volunteer was given a small, glass-encased clock to represent the time they’ve given to their community. The volunteers ranged in age and field with some working locally with groups like the New Canaan Chamber of Commerce and others expanding outside New Canaan to aid organizations like the Carver Foundation of Norwalk. Several of the honorees also spoke while accepting their awards. Many expressed humble sentiments, preferring to focus more on the communities which have benefited from their efforts. Janice Luddy, who won the Hall of Fame award for being “the backbone of the New Canaan Historical Society,” as one of the Volunteer Recognition Committee members put it, said in her acceptance speech she was lucky to be able to give her time to her community.